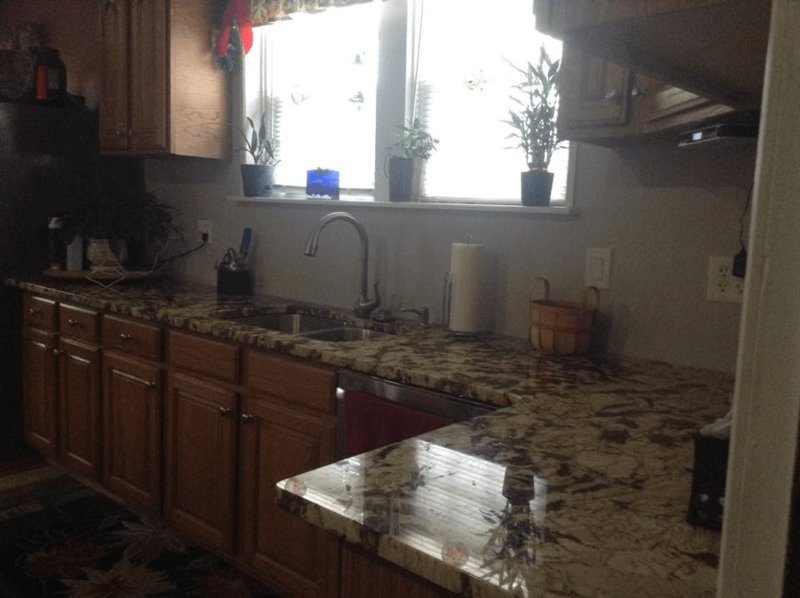 This granite kitchen can be found in a beautiful cottage home located in Oakville, Missouri. 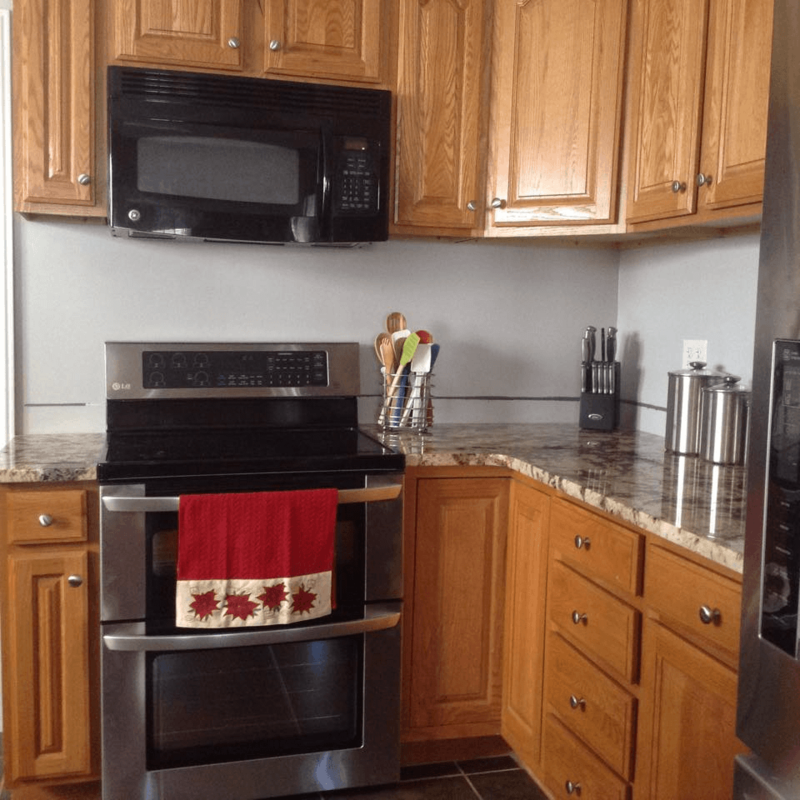 Connie wanted to give her kitchen a new look without spending a ton of money. 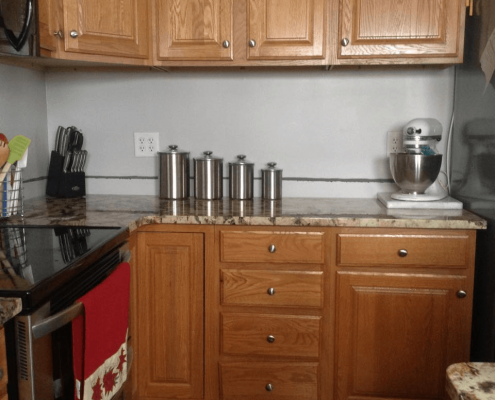 Her medium oak colored cabinets were in great shape so she decided to get rid of the old Formica countertops and upgraded to granite. 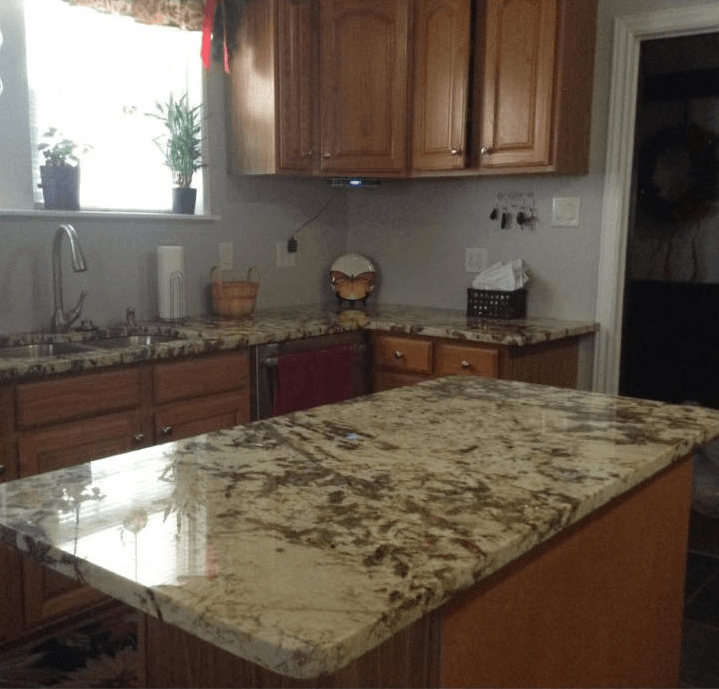 She chose National Treasure Granite which is full of movement. 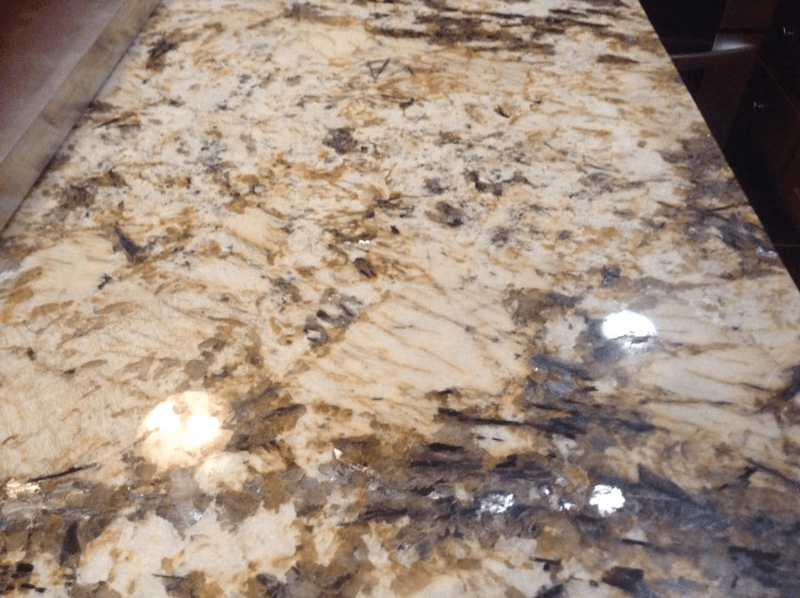 The major colors in this stone are brown, black, tan and white making it neutral enough to match oak, dark or even light cabinets. 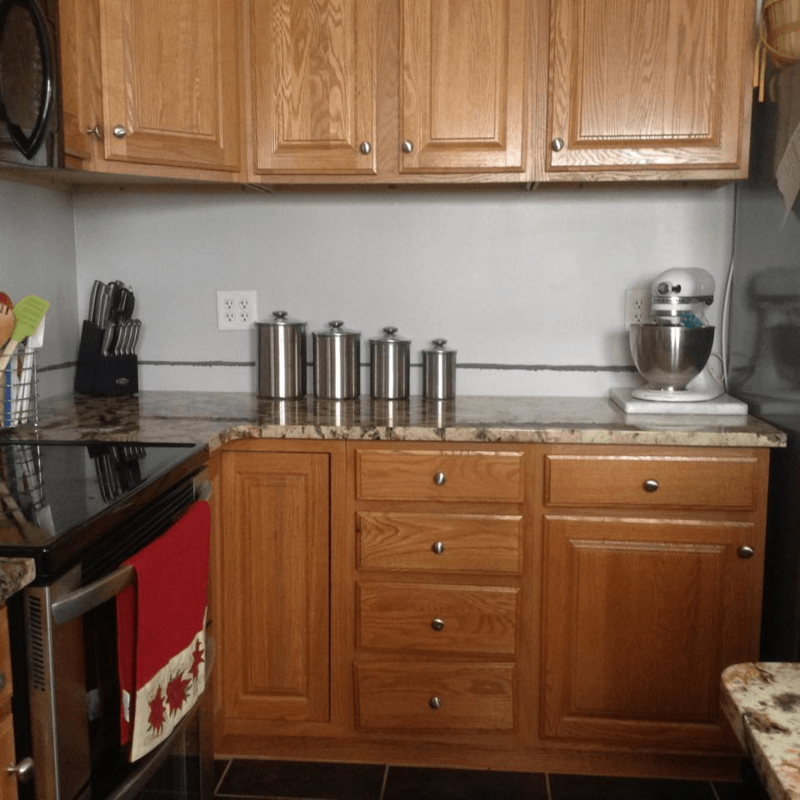 Her oak cabinets pull out the browns and tans in the stone while her dark tile floor pull in the blacks throughout the stone. 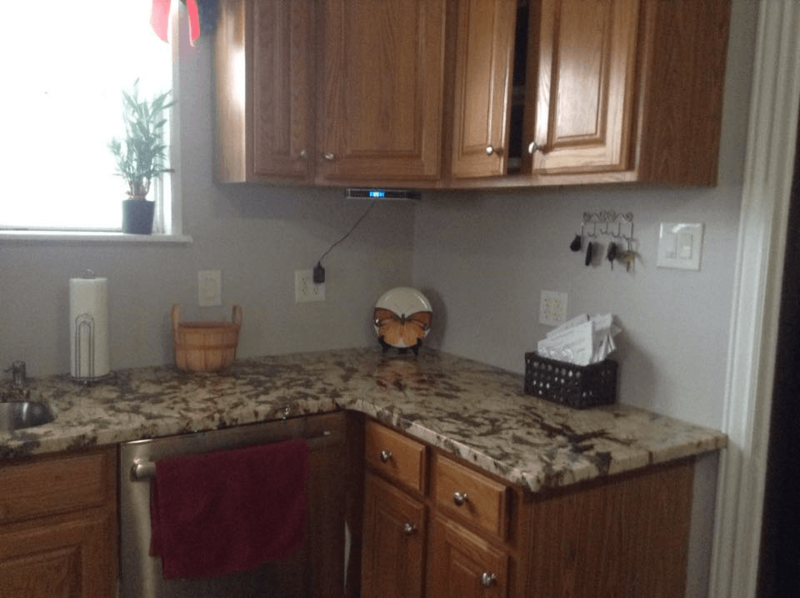 Connie went with an eased edge profile and a four inch granite backsplash for her kitchen. 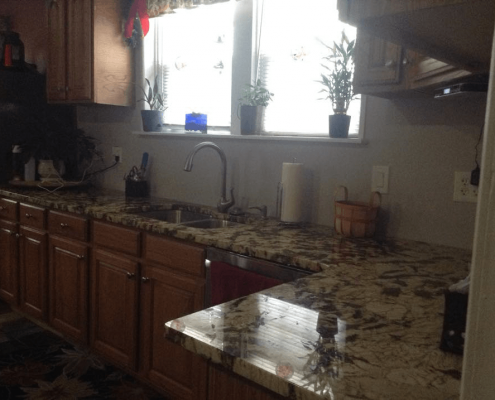 Her kitchen is considered a Medium sized kitchen which ranges from 50-70 square foot of countertop area. 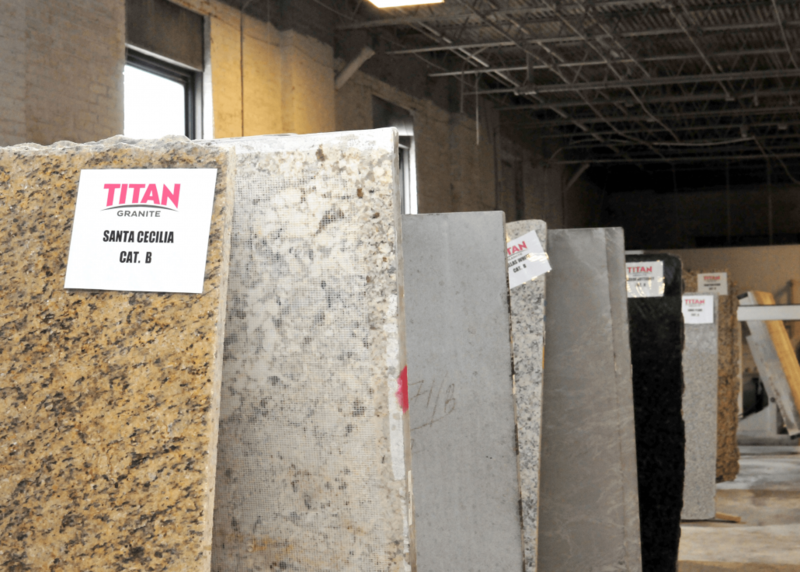 National Treasure is considered an exotic stone and is labeled a Category D stone. 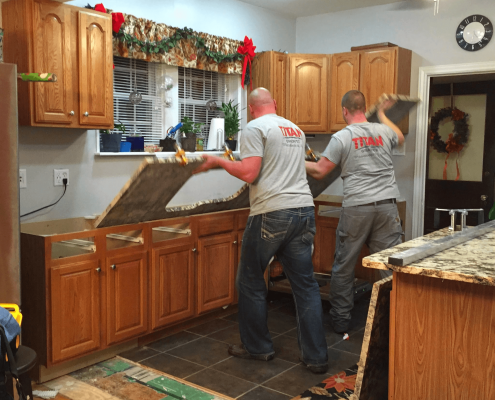 The Marble Institute of America (MIA) has been the authoritative source of information of natural stone for over 70 years. 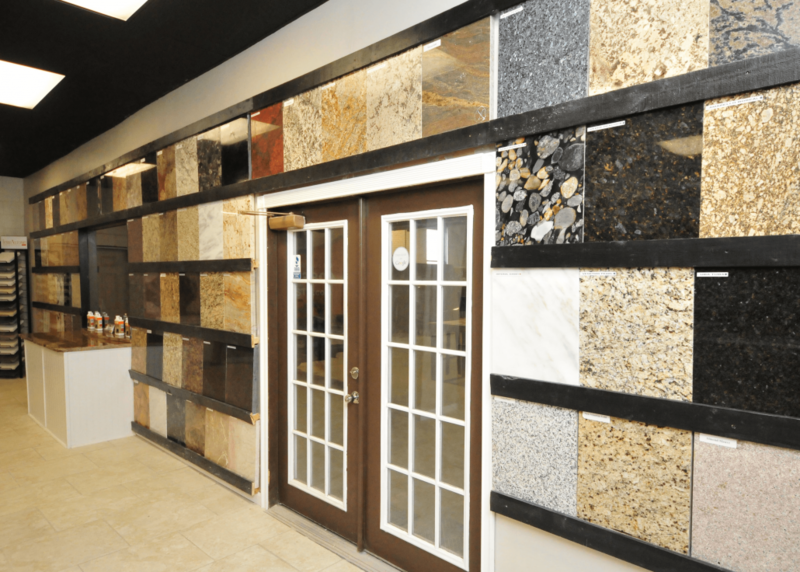 The MIA assign categories to all Granites, Marbles and other natural stones. 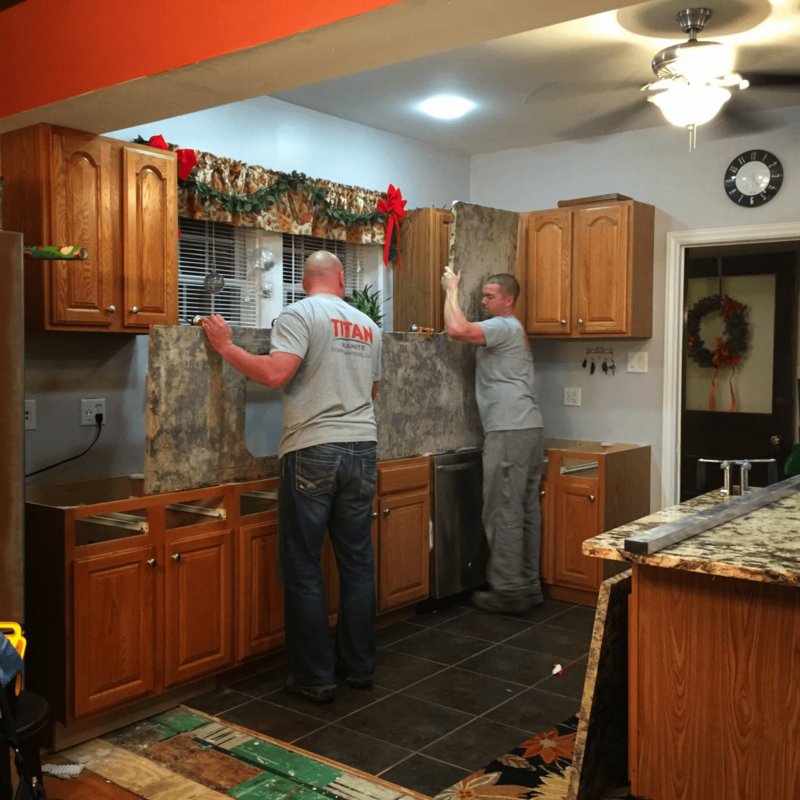 Categories are based a variety of factors including color variation, movement and composition of the stone. 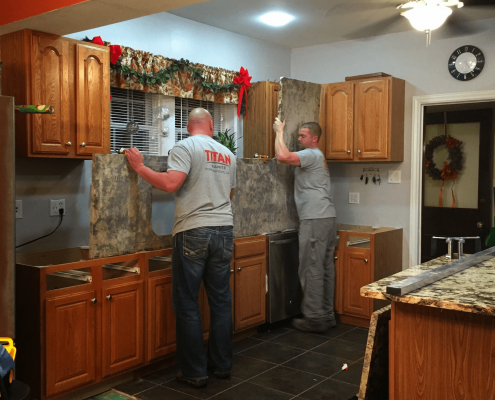 If you are ready to give your kitchen a new look like Connie did, contact Titan Granite at 314-773-3800 or fill out our Schedule My Free Estimate form by clicking here. 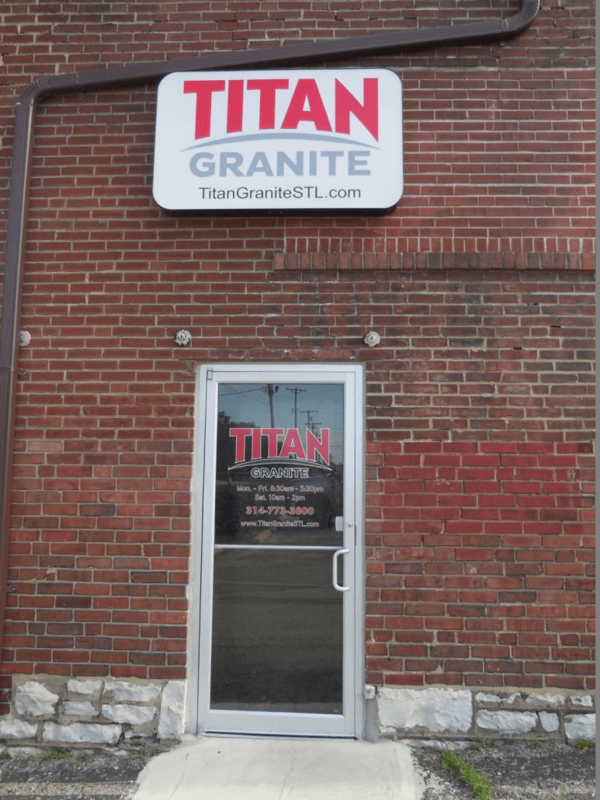 At Titan Granite we never charge to estimate projects in Oakville, Missouri. 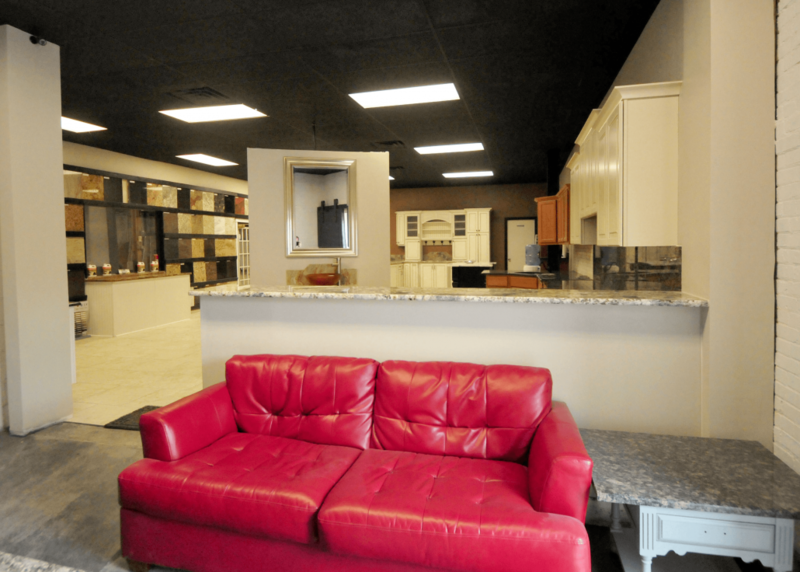 If you’d like to speak directly with a salesperson, we can be reached at 314-773-3800 during business hours. 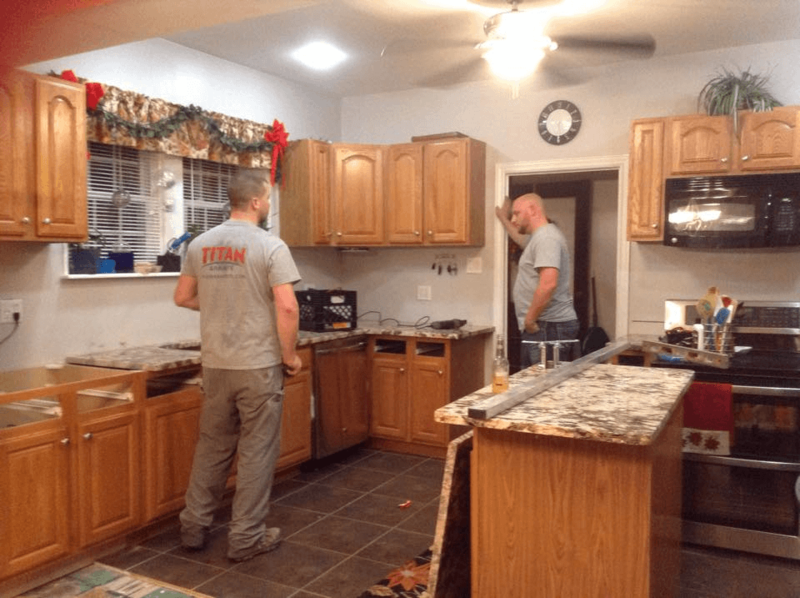 If you would like a salesperson to contact you about your upcoming kitchen or bathroom remodel, simply CLlCK HERE to tell us about your project. 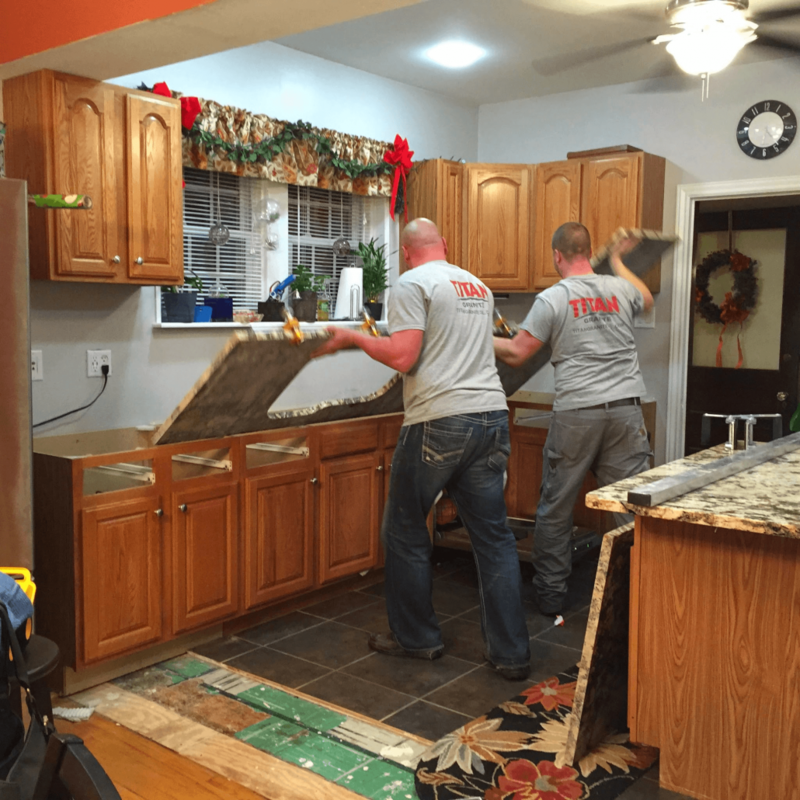 One of our team members will respond to you within 24 hours.